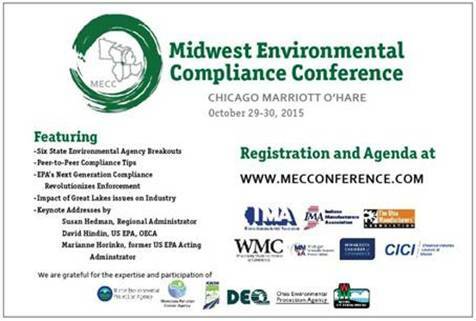 Marianne Horinko, President, The Horinko Group, will be delivering keynote address at the Midwest Environmental Compliance Conference, held from October 29-30, 2015. Her session, “Hot Topics in Remediation and Waste Materials Management” on October 30, will cover the past year’s extraordinary trends in the world of remediation (Superfund, brownfields, and RCRA corrective action) and waste management (coal ash, definition of solid waste, financial assurances, and sustainable materials management) and provide insights on the future impacts of those developments. The Conference is hosted by the six manufacturing associations in Region 5 and will feature presentations from EPA headquarters, EPA Region 5, and top officials from each of the region’s six state agencies. To view the full conference agenda, visit http://bit.ly/1KfO6tV. To register for the conference, visit http://bit.ly/1KkIg64.